As everyone descended on the temple-town, the dreaded Chennai summer promised a good roast. As the Raksha Mantri Nirmala Sitharaman saddled in for the press conference, the first volley of questions had the unmissable – “Why Mahabalipuram?” The Defence Minister took up the question with zeal and revealed that the decision for Mahabalipuram was solely to boost the prospects for the recently announced defence corridor in the host state. While the billion-dollar question received an expected answer, the focus eventually shifted to the high-stake Expo itself. For anyone who has been part of the previous editions of DefExpo, ‘thought-out organisation’ could well be an alien term. A recall of the DefExpo – 2016, which was held at the tourist capital of India – Goa – alone is enough to send chills down the spine. The previous edition of the event was so very poorly organised that the then Defence Minister Manohar Parrikar had went on record to apologise to the attendees. As the business and participating crowd made its way to event at DefExpo – 2018, it soon dawned on them that there was organization, better organization and perhaps the best organisation. The organiser – Defence Exhibition Authority (DEA), under the Department of Defence Production and HAL – the lead facilitator, had successfully gotten their act together. A Glimse of DefExpo – 2018; Courtesy – DPR. With organisation in place, it was time for business. 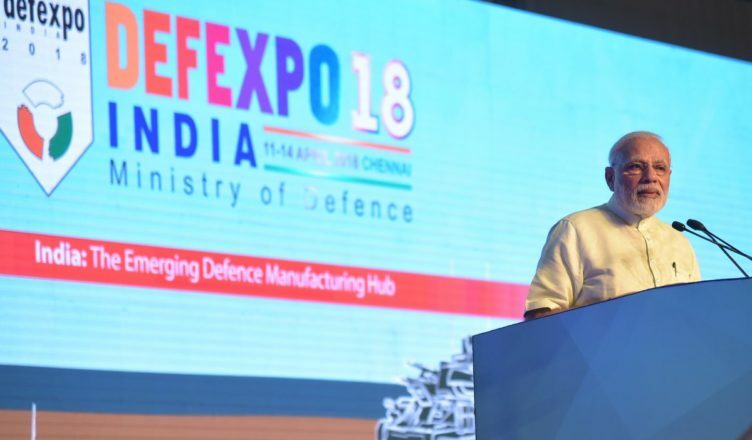 Expos, such as Aero India and DefExpo, play a crucial part in the forces’ acquisition cycle as they provide a direct interactive platform for all involved stakeholders of the massive defence industry. For India, the significance is even greater, as its humongous requirements make it one of the prime business targets for global companies. For global OEMs, India is the next and for most of them the only target, solely because of the numbers involved in the business. DefExpo – 2018 saw the participation of 600+ Indian firms and 150+ foreign companies. Further, 47 official delegations held negotiations with country’s top echelon for boosting defence co-operation. The order of business at DefExpo was largely governed by the Government’s ‘Make in India’ initiative. While OEMs offered their products to the Indian forces and promised support to India’s self-reliance mission, Indian companies flexed their developing and manufacturing capabilities. 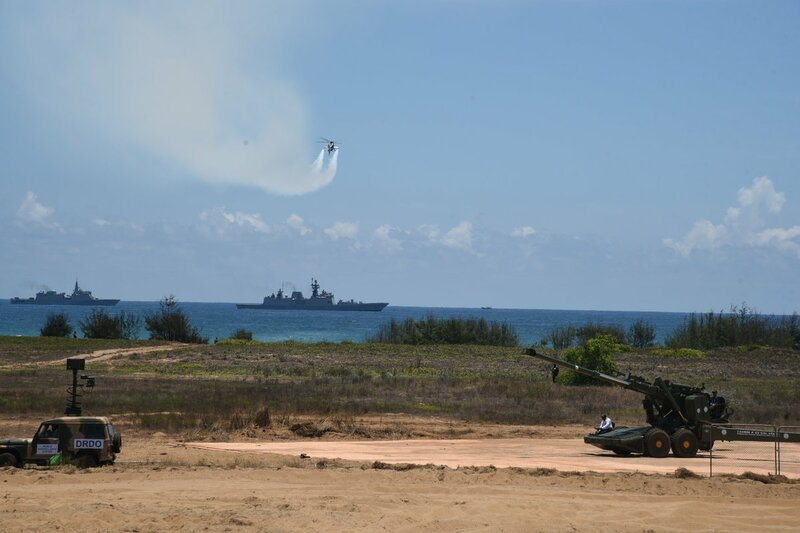 Even though the expo did not feature any formal conclusion of orders, DefExpo – 2018 did witness several high-stakes collaboration. While the pie was taken away by HAL and Mahindra’s new found partnership with Boeing for manufacturing the F/A – 18 Super Hornets locally in India, the event also witnessed several collaborations being announced between Tier – II and Tier – III manufacturers with Global OEMs. All in all, the expo has provided a jumpstart for the country’s manufacturing entities to take a direct shot at the lucrative global supply chain. Further, the mandate for business at DefExpo was set by the motto of the event “India – the emerging defence manufacturing hub”. While every successive edition of the event featured foreign OEMs displaying the prowess of their platforms, DefExpo – 2018, in a departure of this practise made way for the exhibition of India’s manufacturing capabilities. Indian manufacturers such as HAL, BEL, Tata Defence and Aerospace and OFB had deployed indigenously manufactured platforms ranging from modern fighter aircraft to advanced howitzers to potent main battle tanks. The live demonstration segment of the event, a one of its kind arrangement, witnessed Indian built platforms such as LCA Tejas, Sukhoi SU-30 MKI, Hawk, Dornier, LCH, ALH, MBT Arjun and ATAGS proving their prowess. Indigenous platforms performing at DefExpo – 2018; Courtesy – PMO. 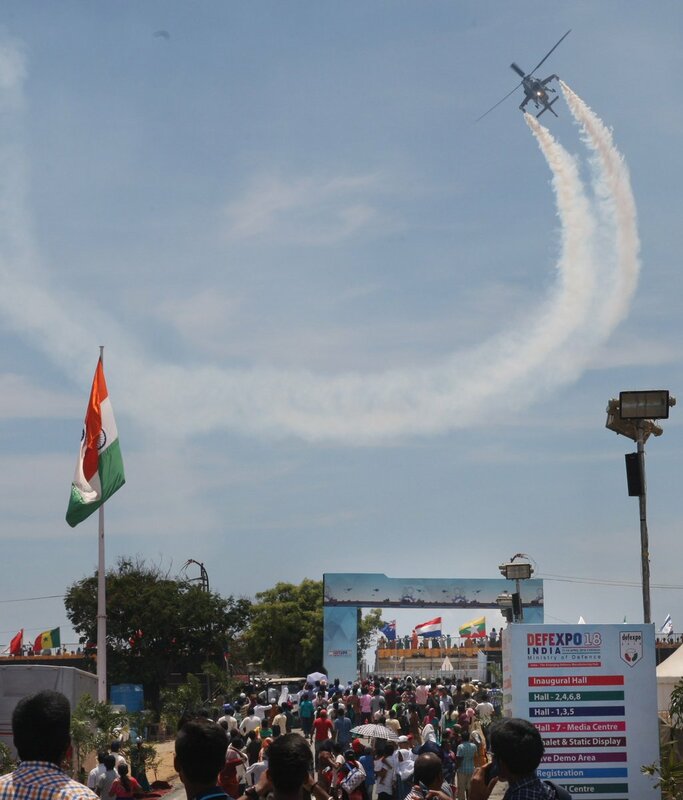 For the maiden time in the history of the event, DefExpo featured live demonstration of naval assets. Move to Mahabalipuram has all but helped the Navy to be a credible part of the expo. Being one of the few countries with ship building capabilities, India, had not succeeded to demonstrate its naval products at previous DefExpos. The deep and sprawling waters right at the door steps of the venue helped to implant the platform to showcase the ships of Indian Navy and this move of demonstrating naval platforms within the range of human eye-sight was a master stroke from the organising team of the DefExpo 2018. While DefExpo – 2018 yet again largely failed to produce credible numbers, as is the tradition with other global expos, the event did succeed in setting a benchmark to showcase the motto behind it. For the maiden time, the event was largely well organised with the minutest of the details being given attention to. With the crowd overall walking away with collective memories, it is time that the efforts of the DEA, Department of Defence Production, MoD’s DPR and local administration and also the local population is given due credits. But as the dust settles, it has to be realised that DefExpo – 2018 remains to be a business event and it is essential that participants make memories through concluded defence deals.